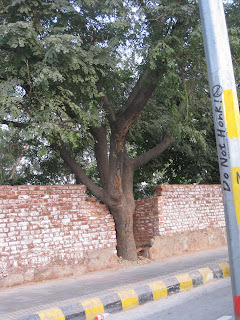 Hari Batti's Green Light Dhaba: Photo Essay: A Tree is Nice! Trees are nice. They reduce erosion. They absorb carbon from the atmosphere and help combat global warming. They are a home to birds and animals. 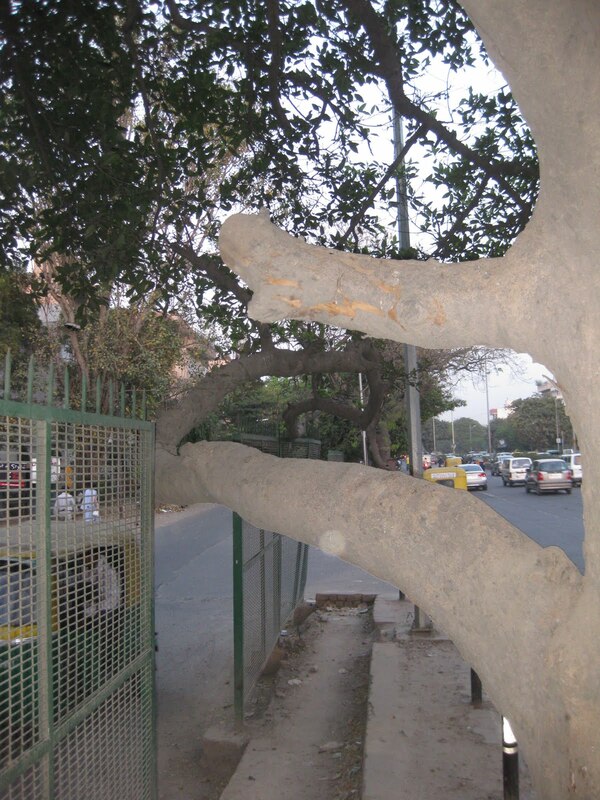 They provide shade in the summer and protect us from wind in the winter. While here, both sides seem to have compromised. As we all know, sometimes, there is no compromise. 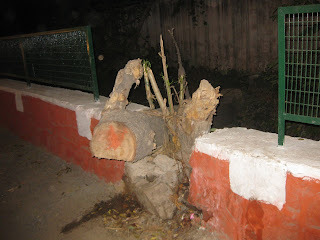 Often the roots of urban trees have been covered with tarmac or concrete. 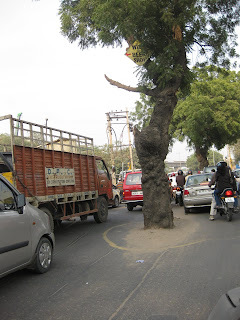 One has to wonder how safe it is to leave trees standing in the middle of busy roads. 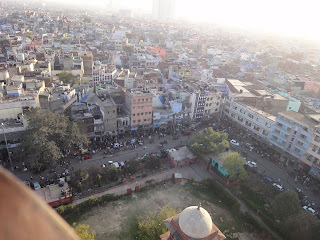 Sometimes we do stupid things in Delhi. Like cutting down 500 trees to build a parking lot for the Comonwealth Games. 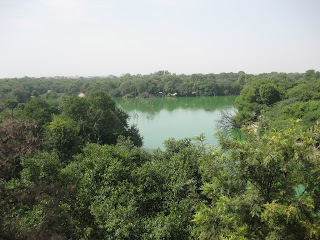 But there truly is a lot of green in Delhi; more than 20% of the city's surface area is under tree or forest cover. And some say we aren't losing as much ground here as one might expect in a time where you see road construction everywhere. 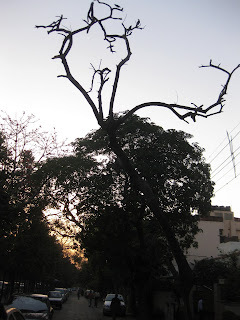 Parts of Delhi remain covered with forest. From above, other parts of Delhi look a bit less green. 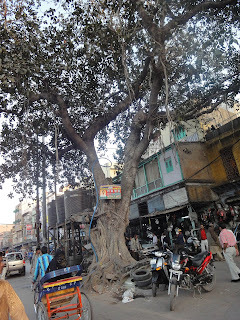 But from ground level, the trees that do live in Old Delhi are often spectacular. I have read that the net cooling effect of a young, healthy tree is equivalent to ten room-size air conditioners operating 20 hours a day. 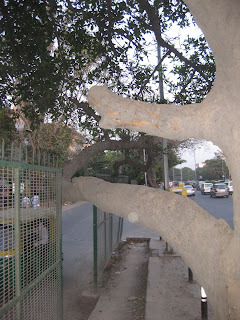 In a place known for extreme heat, that probably does more than anything to explain why most of us agree: in a city like Delhi, a tree is nice! Thanks, pRiyA, and yes, we need more!